Happy Friday from Inflatable Press. Although we are in a seemingly endless set up mode I have decided to start adding content as a kind of rolling dress rehearsal. Who knows? Some of it might end up going live. And a lot of it no doubt won’t. So where are we at? Well we’ve had a trial run with a mini-site, (on writing tech – no point in linking to it since it would only loop back here) which we’ve decided to roll in to this single mother ship: Inflatable Press. The beat will be writing/digital and digital/writing. For me, this is an attempt to tear down the walls between my various personas – as tech writer, fiction writer and software developer. I have always found it frustrating siloing myself in that way. Can I do this and not confuse a potential readership? And potential software customers. Well I guess we’ll find out. The site furniture is currently morphing day by day. Ideas for structure and editorial are beginning to take shape. What else? Oh yes, Cluster Catcher our editing tool for locating repetitions in your writing is already live. It’s free with a sign up. Oh yes. There’s a mailing list. Of course there’s a mailing list. There’s always a mailing list. 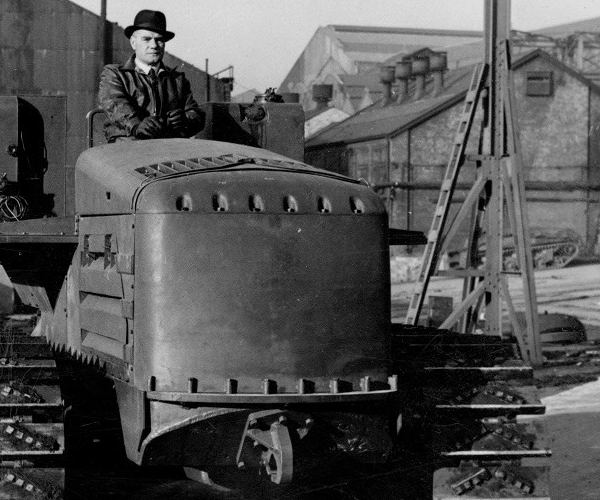 photo credit: New tractor at the Elswick Works via photopin (license).